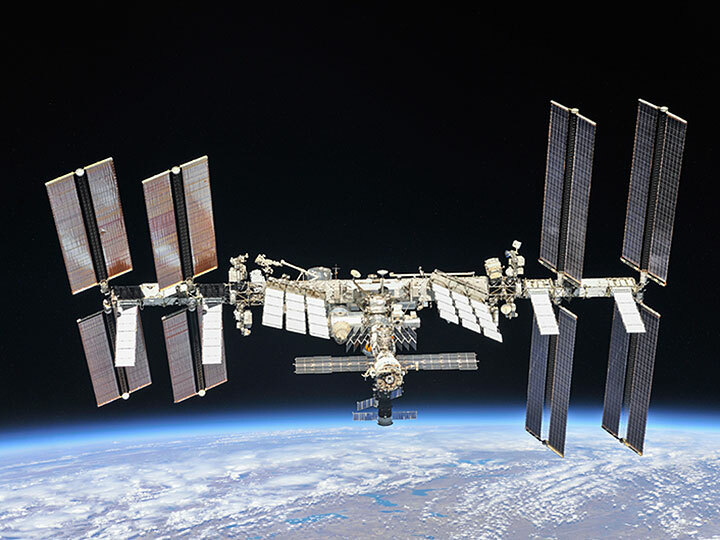 From its position in low Earth orbit, the International Space Station (ISS) National Lab opens the door to innovative materials research in space to benefit people on Earth. On the ISS National Lab, scientists are leveraging microgravity to produce valuable materials such as optical fibers—and soon even human tissues and organs—in orbit. Researchers are conducting accelerated materials testing in the extreme space environment. And commercial investigators are using spaceflight studies to enhance their consumer products back on the ground. At the upcoming American Association for the Advancement of Science (AAAS) 2019 Annual Meeting, ISS National Lab Chief Scientist Dr. Randy Giles will speak on a panel organized by the National Science Foundation focused on space-based materials research and development (R&D). Below highlights some of the ways the ISS National Lab is enabling valuable research in the area of advanced materials. In the microgravity environment of the ISS National Lab, gravity-driven forces such as sedimentation (the downward settling of particles) and convection (the movement of warmer lower-density fluid upward and cooler higher-density fluid downward) are minimized. Under these conditions, scientists conduct leading-edge materials research on the ISS National Lab that cannot be done anywhere on Earth. Household product company Procter & Gamble (P&G) has conducted multiple fluid physics investigations onboard the ISS over the past decade, working with both NASA and the ISS National Lab. P&G’s most recent ISS National Lab research is aimed at better understanding the behavior of colloids (mixtures of particles dispersed in fluids), which are found in products such as creams and gels. 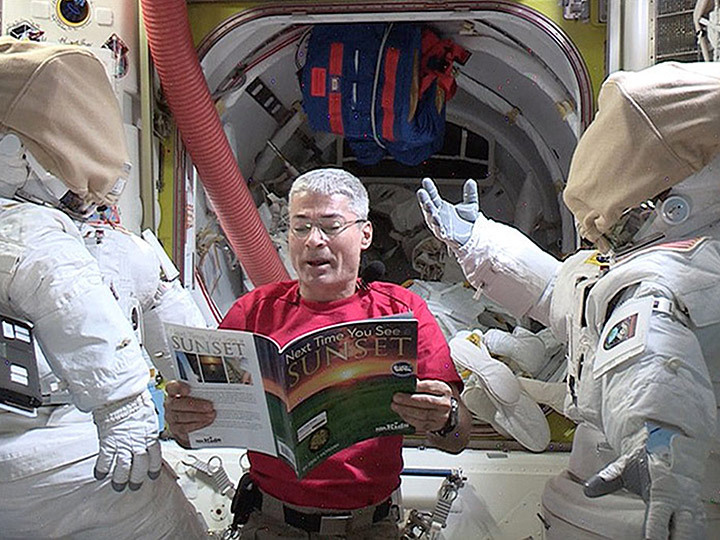 The reduced fluid motion and lack of sedimentation in microgravity allow P&G investigators to observe changes in product behavior in ways not possible on the ground. Results from such research provide valuable insights into improving product development and shelf life to enhance customer experience, and P&G’s ISS National Lab R&D has led to three granted patents. Three companies—Made In Space, Fiber Optics Manufacturing in Space (FOMS), and Physical Optics Corporation—are using the microgravity conditions on the ISS National Lab to produce high-performance ZBLAN optical fiber. ZBLAN has the potential to achieve 10 to 100 times lower optical loss than traditional silica fiber, an improvement in performance that could revolutionize fiber-optic communications and high-power lasers. However, the production of ZBLAN fibers on the ground is plagued with imperfections that degrade performance, making the fibers unusable for many commercial applications. On the ISS National Lab, where convection and other gravity-driven phenomena are reduced, these companies are aiming to produce ZBLAN with fewer imperfections, which would be highly valuable back on Earth. 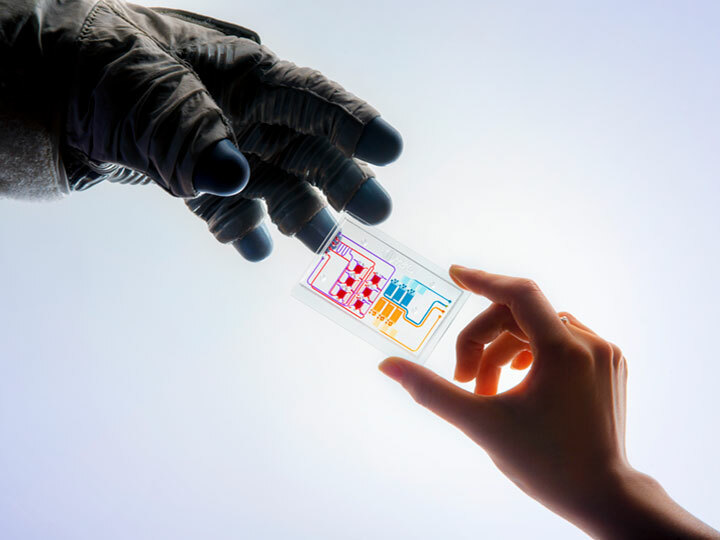 A new ISS National Lab facility seeks to enable the manufacture of human tissues, and eventually organs, in space to benefit human health back on Earth. Techshot, Inc. is developing a BioFabrication Facility that is scheduled to launch to the ISS National Lab on SpaceX’s upcoming 18th commercial resupply services mission. Another bioprinter is also being developed by Made In Space in partnership with the bioprinter company Allevi. Biomanufacturing in a microgravity environment is valuable because the absence of gravity could eliminate the need for scaffolding (structures to support the bioinks used in 3D bioprinting). The scaffolding required in biomanufacturing on Earth makes it difficult to construct the necessary small void spaces in tissues, and the ISS National Lab could help scientists overcome this current hurdle in the 3D bioprinting of human organs. Learn more about Techshot’s BioFabrication Facility in this recent BBC article. The ISS National Lab also provides access to the extreme environment of space, where materials can be exposed to harsh conditions including radiation, unattenuated solar illumination (exposure to the sun that has not been weakened by Earth’s atmosphere), atomic oxygen (highly reactive single-oxygen atoms), ultrahigh vacuum, and temperature extremes. Such exposure allows investigators to analyze the durability of materials at an accelerated rate, providing important information on materials with uses both in space and in harsh conditions on Earth. The Materials International Space Station Experiments (MISSE) Flight Facility, developed by Alpha Space Test and Research Alliance, provides a platform for materials and component exposure testing on the ISS National Lab. The facility is mounted to the exterior of the ISS and houses payload carriers that can be robotically installed and retrieved using Canadarm2. Over the past two decades, NASA has led eight previous MISSE missions; however, these missions required spacewalks for installation and retrieval. The MISSE Flight Facility provides four sides of exposure, enabling durability and performance testing of samples such as polymers, sensors and other components, 3D-printed materials, paints and coatings, fabrics, and biofilms with applications ranging from space technology and remote sensing to solar technology, telecommunications, and even medicine. In July 2018, the ISS National Lab and the National Science Foundation co-sponsored a Materials in Space Workshop that brought together thought leaders and experts in space-based R&D and materials science to discuss how the microgravity and extreme environmental conditions in low Earth orbit enable advanced materials research that is impractical or impossible on the ground. A second Materials in Space Workshop will be held in conjunction with the 2019 ISS Research and Development Conference to provide further guidance in establishing a roadmap for future advanced materials research in low Earth orbit.